Tim Cook and company have shown interest in how BMW manufactures its i3 electric car, but want to go at it alone. The Apple Car is taking another lap on the rumor circuit, with a new report from Reuters that Apple execs visited BMW last year to find out more about how BMW makes the (very cool) i3 electric car. “Apple executives were impressed with the fact that we abandoned traditional approaches to car making and started afresh. It chimed with the way they do things too,” an unnamed source at BMW told Reuters. According to the report, Tim Cook visited BMW’s headquarters in 2014 and asked the carmaker’s board members very detailed questions about production of its i3 electric vehicles, which BMW manufactures using lightweight carbon fiber. BMW execs were willing to provide the parts for the Apple Car, according to Reuters. Talks about a potential collaboration between Apple and BMW, however, ended shortly after that. 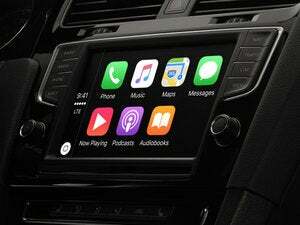 Sources told Reuters that the reason was because Apple decided to try to build a car on its own. As for BMW, the carmaker started getting worried about revealing its manufacturing secrets and becoming just a mere supplier of car parts for the tech company. BMW denied the claims of a potential collaboration, and Apple declined to comment. 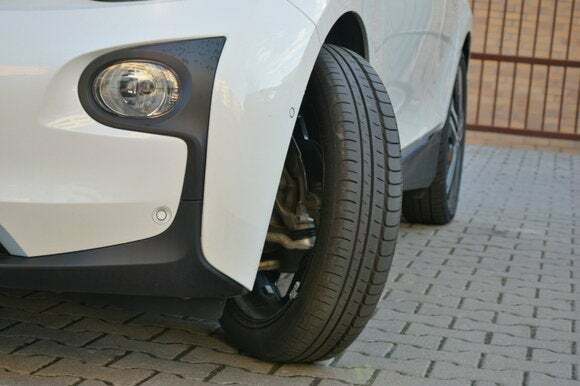 “We do not collaborate to open our ecosystems but we find ways, because we respect each other,” BMW’s head of research and development Klaus Froehlich told Reuters. When it came to speculating about Apple’s plans for a future car, the Reuters report referenced Steve Jobs’s infamous a-ha moment after visiting a Xerox research center in 1979 and getting the ideas for the first Macintosh. Could Tim Cook have gathered enough insight from visiting BMW last year to have a fleet of self-driving electric vehicles on the road by 2020 without help from a major carmaker? Doubtful. But this year alone Cupertino has hired a lot of talent from the automotive industry, including Tesla. Why this matters: With over $200 billion in cash as of its last earnings call, Apple certainly has the resources to take a few risks and enter the auto industry. These deep pockets could be why the Cupertino thinks it can go it alone. As for automakers like BMW, they seem to understand their need to partner with a tech company to develop next-gen vehicles. Building cars from scratch is hard, yes, but so is creating the mapping software that recalibrates in real time.